Faded Blue Jeans With Studs Pacha. Get noticed for all the right reasons in these faded blue jeans with square studs. Slim fit jeans in a medium wash with stud embellished waist. Constructed with button-up fly, belt loops and five-pocket design. 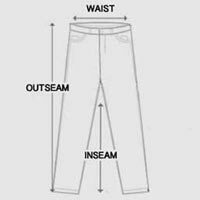 Faded blue jeans include large embroidered patches and logo on back pockets. Waist designed with black faux leather and wraparound metal studs. Made from heavyweight denim with slight stretch and distressed details. Casual jeans with edgy, rock-inspired details that are versatile enough for everyday wear. Rock a classic shade in a standout design with these faded blue jeans.